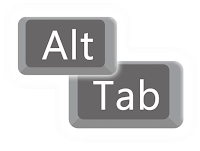 The main advantage of Alt-Tab Terminator is a brand new switching win﻿dow. Unlike to the standard Alt-Tab, it shows a live desktop preview of the selected application and an easy-to-read relevant list of tasks with ti﻿tled icons so you can find the one you need immediately at a glance. Task Preview : Visualization is the key point. Alt-Tab Terminator shows you the exact live desktop preview of the application you want to switch to, even if it has multiple child windows. Quick & Easy Navigation : Navigate through the task list with the keyboard (Tab, Arrow Keys, Home, End, etc.) or the mouse – simply place the mouse pointer over a task or use the mouse wheel. Clear Large Labels : Multiple window titles are arranged on a vertical task list; a large icon is placed by each one of them. Finding the right window has become much quicker. Customization : Press the Menu button in the top-left corner of the switching window to access the program menu and settings. Full Screen Mode : Press F11 or click the Full Screen button in the bottom-left corner to maximize the switcher window to the whole screen. 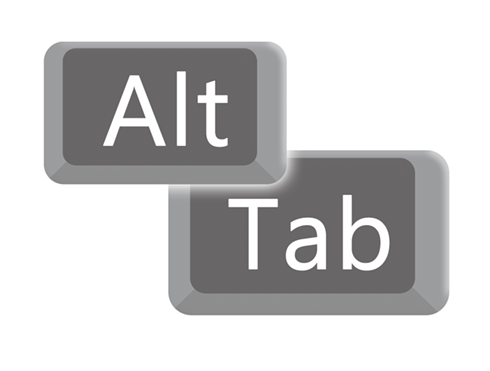 Manage Windows with Ease : With Alt-Tab Terminator, you get the full control over any opened window – you can close, minimize, maximize, restore the main window, run a new copy or even terminate the application. You can press F4 a few times in a row to close windows one by one without activating them. Support for Windows 10 and UAC : Alt-Tab Terminator works with 32-bit and 64-bit applications, even if you run them with administrative privileges. It also supports high DPI and modern Metro apps on Windows 10.